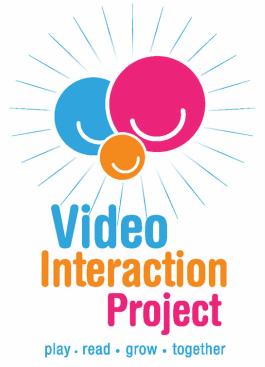 The Video Interaction Project is a relationship-based, individualized parent-child intervention that is administered to families in the context of pediatric primary care. VIP sessions typically take place on the day of a child's regularly-scheduled pediatric well visit, either before or after the child see the pediatrician. During each VIP session, the parent and child will receive a half-hour of one-on-one support from their VIP interventionist. The interventionist delivers a curriculum focused on supporting interactions in the context of pretend play, shared reading and daily routines; all shown to enhance child development and school readiness. What happens during a VIP session? A central part of each VIP session is the creation of a five minute video of the parent and child playing and/or reading together. Before the video is recorded, the interventionist and parent talk together about the parent's developmental goals for the child, and then the interventionist provides the parent with developmentally-appropriate learning materials and suggests ways that the parent can use those activities at home to engage with the child. While creating the video, the parent has the opportunity to play, talk, and engage with their child while trying out the activities that were discussed with the interventionist. After the video is created, the interventionist and parent watch it together, with the interventionist providing feedback about the parent's interactions with her child. Importantly, the interventionist reinforces positive interactions and provides suggestions about missed opportunities for interaction. The parent is then given a copy of the video to keep to support the implementation of activities and home and to share with other family members/caretakers. At each session, parents are given a toy and/or book that they get to keep. These high-quality learning materials are chosen to match the child's age and developmental level and are specifically selected to promote parent-child engagement in activities likely to support child development. VIP's message is reinforced using written, visit-specific pamphlets which the interventionist reviews with each mother. Each pamphlet includes suggestions for interacting with the child through play, shared reading and daily routines. The interventionist encourages the parent to show the pamphlet to the pediatric provider who further reinforces messages. How many VIP sessions can a family complete? There is an age-specific VIP session designed for each of the 13 AAP-recommended pediatric well-child visits between 1 month and 5 years. Well-child visits are scheduled every few months during infancy and toddlerhood, but are less frequent for preschoolers and older children. Additional age-specific VIP visits are available for preschoolers even outside of the AAP-recommended well-visits to provide additional support for school-readiness. In total, there are 14 age-specific VIP 0-3 sessions designed for infants/toddlers between birth and 3 years, and 9 age-specific VIP 3-5 sessions designed for preschoolers between 3 and 5 years. 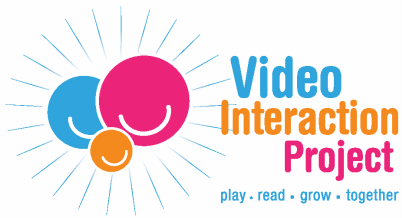 Upon completion of VIP 0-3 or VIP 3-5, parents will have a collection of developmentally-appropriate toys and books for their child as well as a library of videos of their parent-child interactions from each VIP session.